One of the problems of contemporary jazz scene, and even jazz fandom, is a certain negligence toward modern big bands of the 1960s and 1970s, especially those assembled in Europe. While the swing big bands of the 1930s and 1940s, and the small-combo jazz of the post-war era enjoy a wide public recognition by being constantly reissued, great European big bands stay alone on the dusty shelves of the old vinyl shops - sacred items for a small bunch of people who want to explore the beauty of modern classical-oriented jazz charts by those European artists who were sharing a same language as the American jazz expatriates. 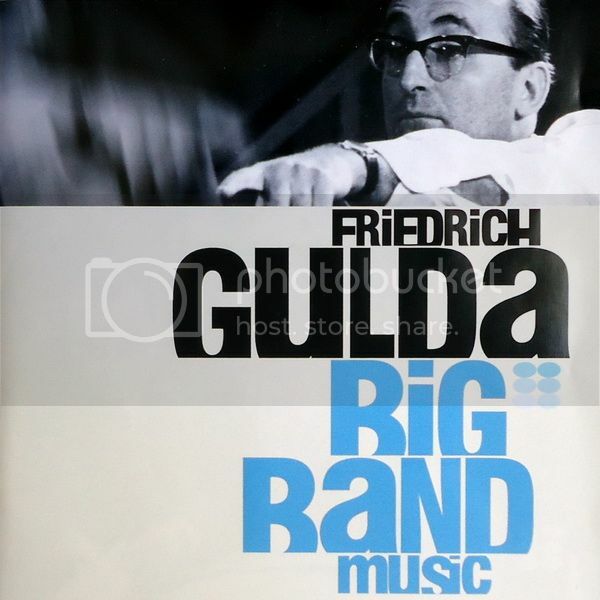 The 2010 release of Friedrich Gulda Big Band Music brings one of the golden eras of the European big band to the digital age. This double-CD presents Viennese pianist, composer, conductor and arranger Friedrich Gulda (1930-2000) and his big bands from 1962 to 1972.